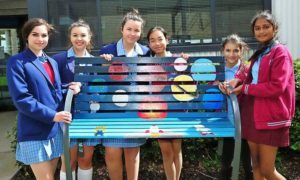 We recently received a ‘Buddy Bench’ from the VCAL students at Marian College. The Buddy Bench Project is a concept that began overseas. It is a very special bench that is placed in the school yard and when students are feeling lonely or need someone to talk to they can sit on the bench and other students can come and help with supporting this student. We appreciate the work of the students from Marian College in supporting our students. New Prep students make a great start!